As a franchise, FIFA runs like clockwork. You can expect a new game every year from now until the end of time. Each entry in the series brings incremental improvements – and it appears this year won&apos;t be any different. So just what will that innovation be this time around? In short, it&apos;s the addition of the Champion&apos;s League. Pro Evolution Soccer held the exclusive rights to Europe&apos;s most competitive tournament … until this year. Soon you&apos;ll be able to experience the full force of the UEFA Champions League, Europa League and Super Cup game modes and features by yourself in The Journey: Champions and with friends online. While you can expect to see some changes to other game modes, gameplay will be slightly different than year&apos;s past, too. The focus for the team this year, according to one of the game&apos;s devs we spoke to at EA&apos;s Redwood Shores office during our demo of the game, was on the new first-touch system that allows you to flick the ball up by pressing R3 (clicking in the right joystick), allowing you to juggle the ball before taking a shot. Beyond first-touch, there are new collision animations between players that will determine who comes away with the ball after a tackle, and timed finishes that change the way headers and one-touch shots from the cross are performed. It&apos;s a lot to take in, and FIFA 19 is just getting started. If you’re counting down the days to that FIFA 19 release window, join us as we round up what we can expect to see this year and when we can expect to see it. At EA Play, which has kicked off E3 in LA this year, we got confirmation of a number of EA Sports titles, including FIFA 19. Sticking to the usual schedule of September release dates for FIFA titles, FIFA 19 will launch on September 28, 2018 and will include new Juventes transfer (and world soccer star) Christiano Ronaldo on the cover. That being said, if you want to charge in ahead of the pack, EA is allowing anyone part of Origin&apos;s Play First Trials program (available on EA Access on Xbox One and Origin Access Basic on PC) to start playing on September 20 and save 10% if you decide to buy the full game. PC players can upgrade to Origin Access Premier to get unlimited access to the full game ahead of launch. We got at the very first trailer for FIFA 19 during E3 2018 and EA Play, watch it for yourself below. So what do we know about FIFA 19 so far? Well, EA hasn&apos;t exactly rolled out the red carpet in the details department, but we’ve been rounding up news and rumors to pull together some kind of picture of the game we might see. It wouldn&apos;t be a new FIFA game if at least some of the gameplay aspects changed. 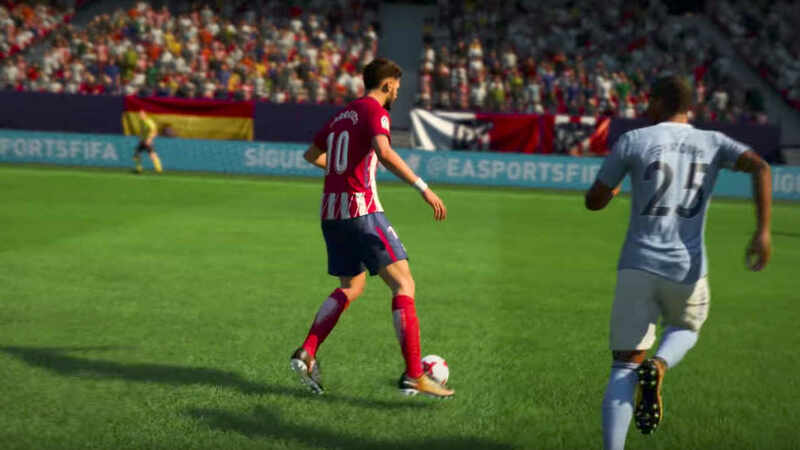 This year, those changes are coming in the form of the new-and-improved first-touch system, dynamic tactics, timed finishes and 50/50 battles that occur when the ball is located in between two players. 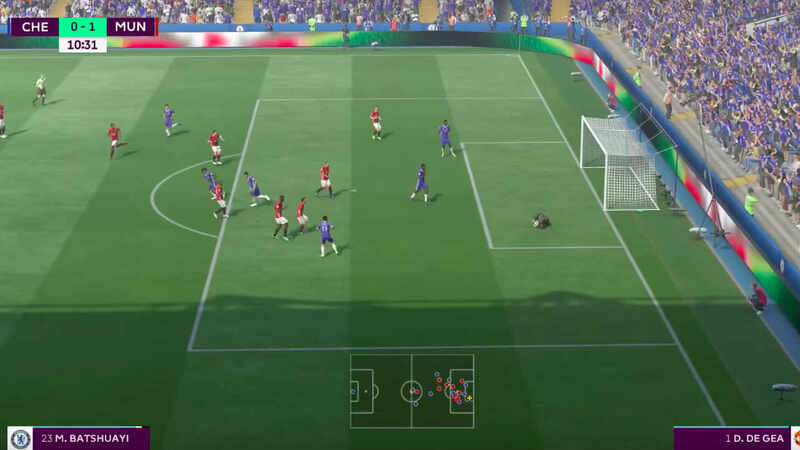 We&apos;ve talked about first-touch up above, but it bears repeating that FIFA 19 will allow you to flick the ball up, juggle it and perform a skill shot like a bicycle kick all in one fluid motion now. The first-touch system also enables you to mislead opponents when you get a ball from a throw or a cross by leaning your body one way before cutting to the other side once the ball lands. This can help you shake a sticky defender and get a shot off when you&apos;re close to the net. Changing tactics on the fly has always been part of the modern game&apos;s repertoire, but this year you&apos;ll be able to go even deeper with your plays. Want to switch from a attacker-centric full-press attack to defender-heavy formation? You can do that. Timed finishes trades the lock-and-load inputs from previous games wherein you&apos;d tap to shoot while the ball is still in the air, with a new system that prioritizes when the button is pressed. The closer the timing is between when you press the button and when the ball touches the player, the better the strike. The last upgrade we saw during our hands-on time with the game were the new 50/50 animations that changed who came away with the ball when two players were equidistant to it in the open field. You&apos;ll notice more physicality between players when they collide, and less of players going around the ball once it&apos;s taken away. After it was confirmed that Pro Evolution Soccer developer, Konami, is reaching the end of its 10-year deal with UEFA and will not be renewing it a Dutch commentator who has done voice work for FIFA seemed to have leaked that EA Sports has picked up the contract for FIFA 19. The moment was captured on video. And, as EA has made clear at this year&apos;s E3, it turns out to be true. 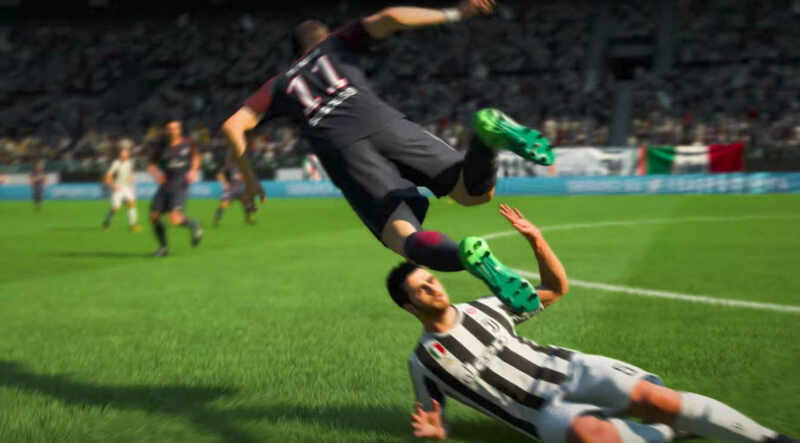 FIFA 19 will include the Champions League gameplay which Pro Evo had for so long. If you want to jump right into the tournament, FIFA 19 will allow you to start off in the Group Stage, the Semi-Finals or the Finals of the Champions League tournament or you can compete in the UEFA Europa League Finals if you&apos;d rather play against some of Europe&apos;s less-competitive clubs. It’s almost a certainty that like FIFA 18, FIFA 19 will be powered by the Frostbite engine. While this means we’ll get a good looking game, it also means it’s not likely to be vastly more visually impressive than FIFA 18. The Nintendo Switch version of FIFA 18 naturally didn’t outsell the other consoles on the market last year and, because it lacked features like The Journey and a full career mode, it received some critical flack. But it did shift enough units to make EA happy, meaning we can probably expect to see another release in 2018. If there is another version released this year, we hope there are some upgrades that will bring it more in line with the full console versions. Perhaps an improvement in the Switch’s online service will help with that. The Journey has proven to be a hit for FIFA, and we think it’s likely to return in FIFA 19. No doubt we’ll see the story of Alex and Danny continue, which is great, though it be even better to see some more RPG elements come into play this time around. More customization and exploration are always welcome in game modes like this (it’s something NBA 2K18 got right). We’d also like to see a greater sense of choice and consequence in our actions – more subtlety in dialog, and perhaps a more branching story would make The Journey even more engaging. This is a big question indeed. 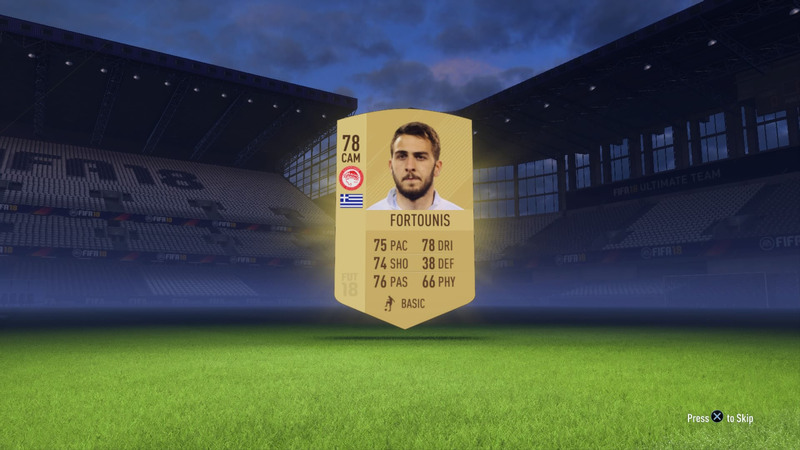 Following the controversy EA faced with its Star Wars Battlefront 2 lootboxes, FIFA fans started to ask questions about their own favorite title and its Ultimate Team packs. When you purchase an Ultimate Team pack in FIFA, you’re spending real money without any guarantee that you’ll be getting a good card. These packs aren&apos;t cheap, and fans can spend vast amounts of cash trying to get the cards they want. Now that Battlefront 2 has attracted the attention of Gaming Commissions, who are looking into whether or not systems like these can be tied to gambling and whether they should be open to the young audiences that play EA’s titles, we could see some changes when it comes to Ultimate Team packs in FIFA 19. Could this be the last physical FIFA? As we said earlier, FIFA has become one of those annual things you can rely on, but that may not always be the case. Last year EA’s CEO Andrew Wilson told Bloomberg that the publisher might move away from its annual release model and veer towards a subscription and update model. This would mean that rather than buying a new FIFA every year, you’d subscribe to a 365-day live service with regular updates. It was clear in Wilson’s interview that this idea was still in its early stages, but it’s undeniable that the industry is moving towards long-term service games and online downloads, so we could see it arrive sooner rather than later. It isn’t an approach that will appeal to all players, but it’s one that been working for EA’s mobile division with the now three year old Madden NFL title. No more Xbox 360 and PS3? FIFA is one of those franchises that’s long straddled the latest and last generation in order to keep its very wide range of fans happy, but there comes a time when the games have to move on and that could happen with FIFA 19. FIFA 18 on Xbox 360 and PS3 didn’t have nearly the same number of features as the Xbox One and PS4 versions; there was no Journey mode and no Frostbite engine. At a certain point EA will have to move past these consoles and it seems likely that this will happen soon. At the Stifel 2013 Technology Conference, EA CFO Blake Jorgensen said the publisher would keep releasing titles for last-generation consoles until 2017. This, he said, would be the “earliest” that EA would drop support for the older consoles, but when FIFA 19 is released we’ll be moving towards the end of 2018 so it seems like the right time to make this move.